Home / News / Relationship / Viral / Kabit, Iiwan Lang Daw Ang Lalaki Kapag Binayaran Siya Ng Totoong Asawa Pero Ito Ang Ginawa Sakanya! Kabit, Iiwan Lang Daw Ang Lalaki Kapag Binayaran Siya Ng Totoong Asawa Pero Ito Ang Ginawa Sakanya! In most TV series and movies, mistresses are often portrayed as flirtatious yet very aggressive when the time comes that the legal wife confronted them about flirting their husbands. Sometimes as viewers we could not fathom where these mistresses gather their confidence and self-esteem to be fighting for their wrong actions. But after all, everything we see in movies and TV series is merely scripted and everything is just for the sake of acting, story, and ratings. But surprisingly, this attitude of mistresses portrayed in stories somehow reflect the majority of the mistresses in real life. Just like what happened to a lady from Davao City who did what she has to do to pin down her husband’s mistress. According to the story shared by Facebook page “Legal Army Wives”, the wife whose name was not revealed had an encounter with her husband’s mistress, Charlene Ramirez. Instead of apologizing for ruining a family and relationship, the mistress has the gall to extort money from the legal wife. 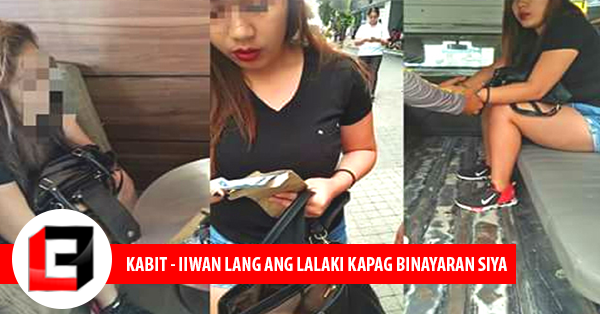 In their text message exchange, the mistress blatantly asked the wife to give her money amounting to P10, 000 in exchange for staying away from her husband and giving them a peaceful life. Out of love for her husband and her family, the wife agreed with the mistress’ consequence. But the wife is not like any other protagonist we see in movies who are being martyred and all, instead, she gave the mistress a lesson that she will never forget in her lifetime. Both wife and mistress agreed to meet in a certain place so the wife can hand the money that she wants, but the wife is not as stupid as the mistress thinks. The wife actually asked the cops to accompany her in their meeting place and boom, the 21-year-old mistress was nabbed in an entrapment operation. Now the mistress was already sent behind bars facing legal charges for trying to extort money from the legal wife. Applause for this brave and smart wife who is willing to do everything to save her marriage and her family. Read also the previous article: Xander Ford Invited To Guest In Ellen DeGeneres Show?